In June, Ghettoblaster Magazine talked to Midwest Black Speculative Fiction Alliance’s founder, Aiesha Little. 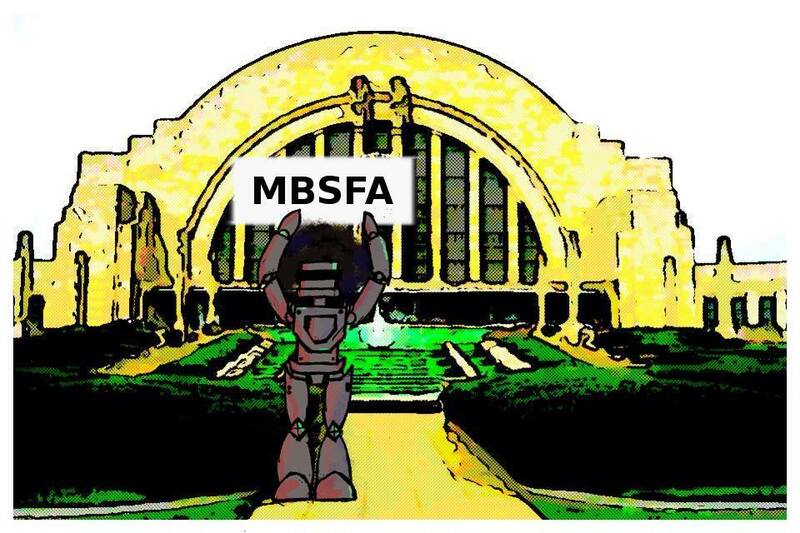 MBSFA is an online (and IRL) community aimed at supporting the efforts of African-American speculative fiction creators (writers, comic illustrators, musicians, authors and filmmakers) of all genres. Recently, MBSFA hosted their 2nd Annual Black Comix Day as a way to showcase homegrown visual artists from the Greater Cincinnati region. The organization, which started off small in early 2015 by way of word-of-mouth and social media, gained a following among established members of the black speculative fiction community, self-described black nerds, aka, “blerds,” as well as patrons in general who take part in discussions and events. Here’s what Little had to say about MBSFA. What inspired you to found Midwest Black Speculative Fiction Alliance? When and where did it happen? In fall 2014, I was reading an interview with Rasheedah Phillips of the Afrofuturist Affair in Philadelphia on the FanBros website and I thought, “We could have something like that in Cincinnati. It would be great to hang out with black people who are interested in sci-fi.” I started reaching out to a group of like-minded individuals (some “blerds,” if you will, and other folks who think outside of the box) and asked if they’d be interested in helping me get this thing off of the ground. We discussed names and settled on something that could encompass all of the genres that fall under speculative fiction – sci-fi, Afrofuturism, fantasy, sword & soul, steampunk, etc. And voila! Midwest BSFA was born. What types of programs does MBSFA offer? We offer a variety of programs and it really rotates around who’s available in our area at the time and whether we think other people would find them interesting. We focus on short stories for our Black Sci-Fi Book Club as not to turn people off because they don’t want to read a whole book. Our first program, “Black to the Future: Afrofuturistic Music,” was a way to tackle a broad, chunky topic like Afrofuturism through a musical lens, which has made it more easily accessible for people. And of course, our Queen City Black Comix Day appeals to people who are interested in comics and eager to see creators who look like them. What’s missing from the conversation when it comes to speculative fiction and POC? And how does geographical location and class also play roles? I think that the fictional works that go the way of utopia in their speculation tend to leave people of color out of the mix completely. It’s like we no longer exist, for the most part. And that’s because, generally speaking, we’re not writing those books, directing those movies, drawing that art, etc. A lot of our narratives of what the future looks like for us lean toward dystopia because…history. It’s hard to see yourself in a utopia when the world doesn’t value you right now and hasn’t valued you in the past. Are there any speculative fiction subgenres you’re wild about right now? I’m really digging the “funks” – steamfunk, dieselfunk, cyberfunk – and rococoa right now. These are all subgenres of steampunk, dieselpunk, cyberpunk and rococo that focus entirely on the black perspective. I follow indie authors and anthologies that make it a point to give people who look like me fictional agency in time periods where we really didn’t have much (if any) in real life. As a steampunk cosplayer (taking the costumes of well-known characters and giving them a steampunk twist), I love reading the works of these writers who can tackle complicated subjects that relate to those overarching genres without forgetting that racism, sexism, homophobia, etc., still exists/existed. How can people follow MBSFA and keep up with what’s happening in the region? You can find our members clowning around on Facebook (www.facebook.com/MidwestBSFA) and Twitter (@midwestbsfa), and waxing poetic on our blog at midwestbsfa.wordpress.com.